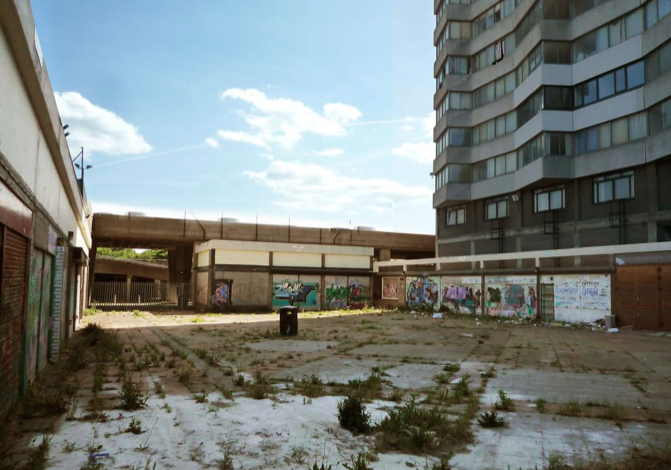 We often get asked what’s the future for the Arlington site. We believe that the seafront location at the gateway to Margate’s glorious main sands deserve better than a giant superstore. We’re inviting ideas for this prime site in close proximity to the beach and Margate Station, two minutes walk to the successful Turner Contemporary gallery designed by David Chipperfield Architects and adjacent for the soon to be developed Dreamland Heritage Theme Park. Here is one such example of a future thinking came from architect Sam Causer. Article and pictures copyright Sam Causer Studio 2011. 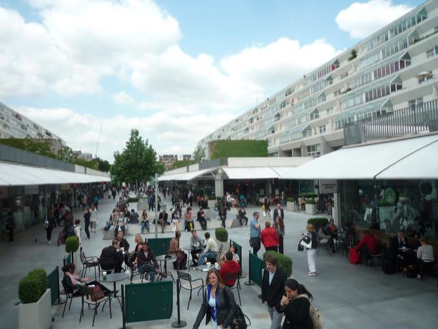 Russell Diplock’s 1960s vision for Arlington Square united beach, cars, shopping and living to create a civic space with pride and optimism. There were some negative aspects which need to be put right and the space has been treated badly. Arlington Square fenced off, shops closed down. Margate visitors can’t access the car park. No way in to Arlington House from the square. Clean and refurbish Arlington House. Re-use, adapt and clean existing concrete structures. 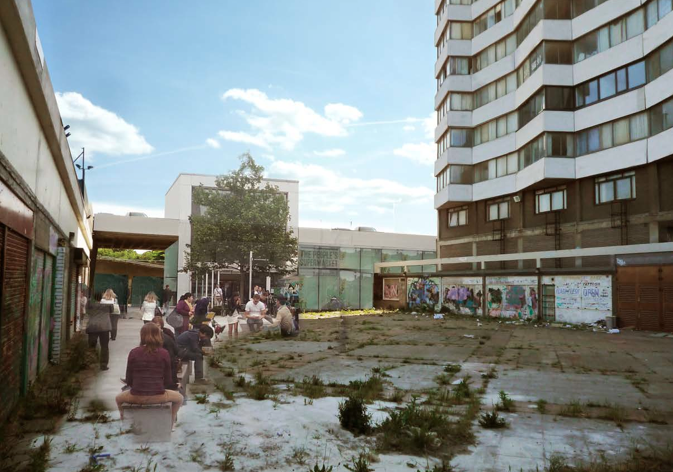 Retain roof-top carpark for Arlington House residents and Margate visitors. New, locally sized supermarket with entrance off Arlington Square. New lifts and stairs to rooftop parking from Arlington Square. Provide direct access from carpark to beach via public retail space. Refurbish and extend retail units for mix of shops and cafes. 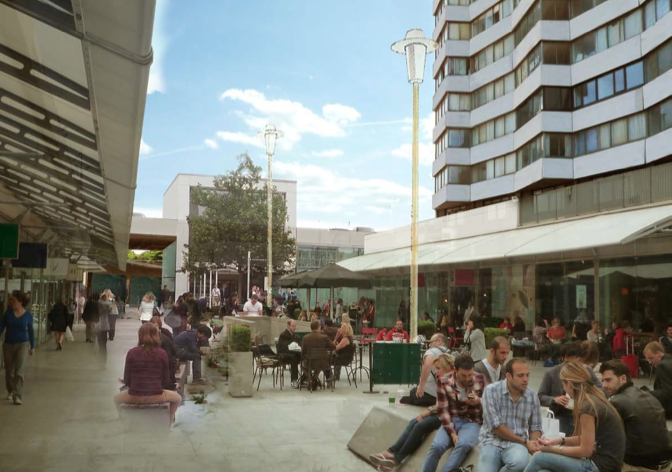 Create garden terrace for Arlington House residents over parade of shops. Install Canopies for rain and sun protection. Result: Local economy, active townscape, visitor amenities, social cohesion.